Interesting topic, but unbelievably bland narration. Sounds like robots. Very distracting. One death can change the world. At least, that's what assassins believe. Assassinations recounts history's most dramatic deaths.Through little-known facts, "what-ifs?" and examining assassin's motives, we examine how one murder can alter the course of history. A new episode releases every Monday. Assassinations is a production of Cutler Media and part of the Parcast Network. The Queen of Tejano Music was only 23 when she was shot and killed by her best friend, personal assistant, and President of her fan club, Yolanda Saldivar in 1995. The icon was declared dead at The Days Inn in Corpus Christi, Texas after Yolanda shot her in the back. What lead Selena's best friend to assassinate her?<br><br>Sponsors!<br><br>Audible - Get 3 months of Audible for just $6.95 a month by going to Audible.com/ASSASSINATIONS or text ASSASSINATIONS to 500 500. President John F. Kennedy was pronounced dead at 1 p.m. on November 22nd, 1963. The fallout of his death would change the course of history for America and for the world. What would America be like if John F. Kennedy had survived?<br><br><br>New Shows!<br><br><br>Parcast Network - Don’t forget to rate, review, and subscribe to our other new podcasts Hostage and Kingpins. November 22nd, 1963, was supposed to be a special day. President John Kennedy had traveled to Dallas, Texas, to attend to some political matters in preparation for his upcoming re-election campaign. But, by the time the sun set, the President would be dead, and police would have in custody the shooter: Lee Harvey Oswald.&nbsp;<br><br>Kingpins - Don't forget to listen to Kate's other Podcast Kingpins now! People who defied society. Bullets that defiled bodies. Deaths that define history. Assassinations recounts the lead-up, the fall-out, and impact of history’s most dramatic deaths. Within each story, we explore the people who picked the target, pulled the trigger, or poured the poison. Assassinations launches November 19th, with a new episode every Monday. 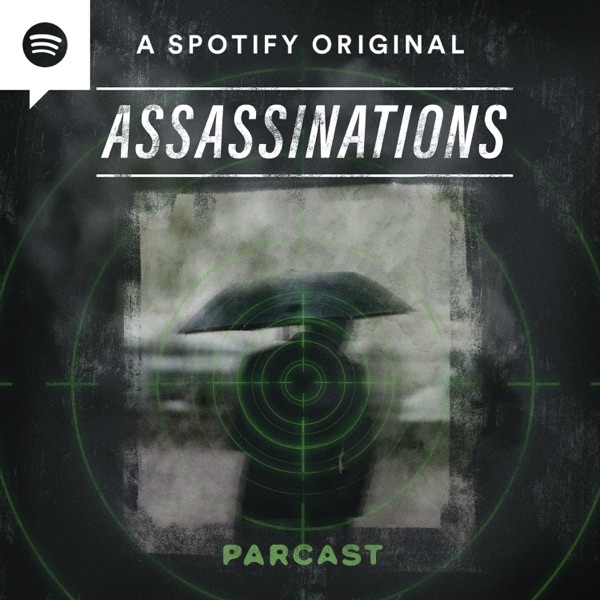 Assassinations is a production of Cutler Media and part of the Parcast Network.